I love summer, but I love fall & winter more! There's something about cold weather, scarves, boots and mittens that make me so incredibly happy. I seriously cannot wait for all things hot chocolate, pumpkin and spiced! Fortunately though, even though summer is incredibly hot and sticky, it provides us with the most luscious fruits of the year: the juicy peach and the perfect mango, two of my favorites! Fruit desserts have always been one of my favorites because their freshness cuts into the sweetness, since I like my desserts not overly sweet. These bars taught me something important: not all bars have to be super sweet or crispy/ chewy. I'd always had a certain vision of what bars are supposed to be and these are the total opposite! They're cake-y, subtly sweet, delicate and quite possibly the best farewell to summer I could have asked for. Preheat oven to 350 F. Grease a large cookie sheet, set aside. Cream together the butter and sugar until smooth and fluffy. Add in eggs one at a time making sure well incorporated after each addition. Add in vanilla and almond extracts. Slowly add flour and salt and mix until incorporated. Spread 3/4 of the mixture into the prepared pan. Mix peaches, brown sugar and cinnamon together then evenly distribute over the batter. 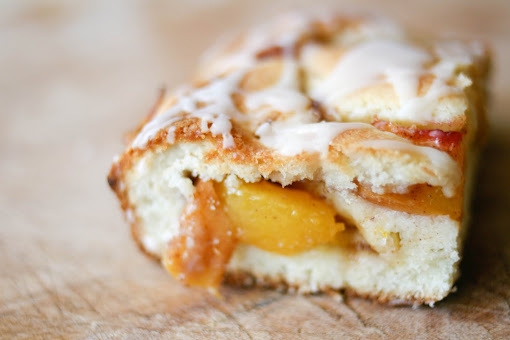 Drop the rest of the batter by tablespoons over the peaches and bake for 25 - 30 minutes or until edges start to turn brown. Whisk together the powdered sugar, vanilla and cream and drizzle half of the mixture over the warm bars. Allow to cool, cut into 3 inch squares and drizzle over the remaining glaze. Mojitos are one of my favorite mixed drinks on this earth. Most often, I'd prefer a beer or a glass of wine rather than a mixed drink but Mojitos are just always, always sublime. 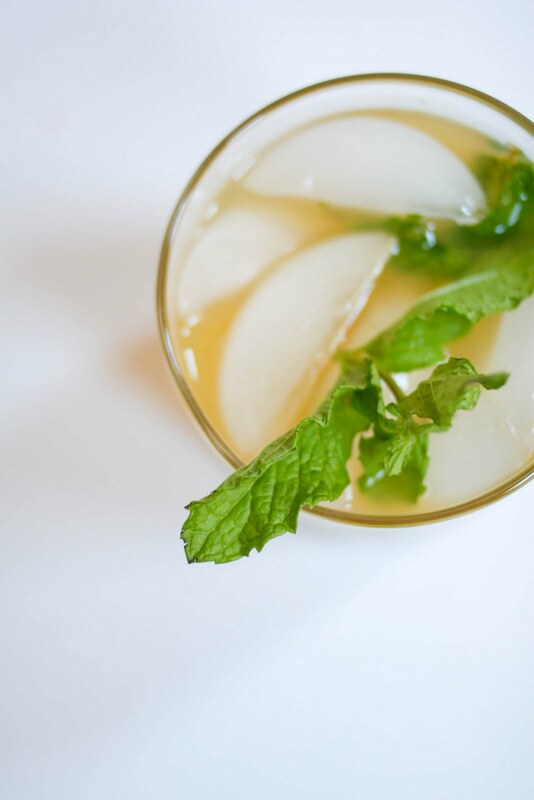 The mix of lime and mint is perfection and so refreshing on a hot summer day! Add mango, and you've got perfection x 100! Mango is my favorite fruit ever and when you use a perfectly ripe, summer mango in this recipe, it's flavor is just heightened to infinity. Please enjoy this on your last summer day! Muddle the mint with a muddler or the bottom of a wooden spoon. Mix all the ingredients together, then serve over ice. Enjoy! Oh wow what perfect bars!!! I love the idea of making a cobbler inspired twist! and the mango mojitos sound yummy! two totally, fantastic yummy creations! thanks a bunch! Holy word, this is a double whammy. They both look and sound amazing. 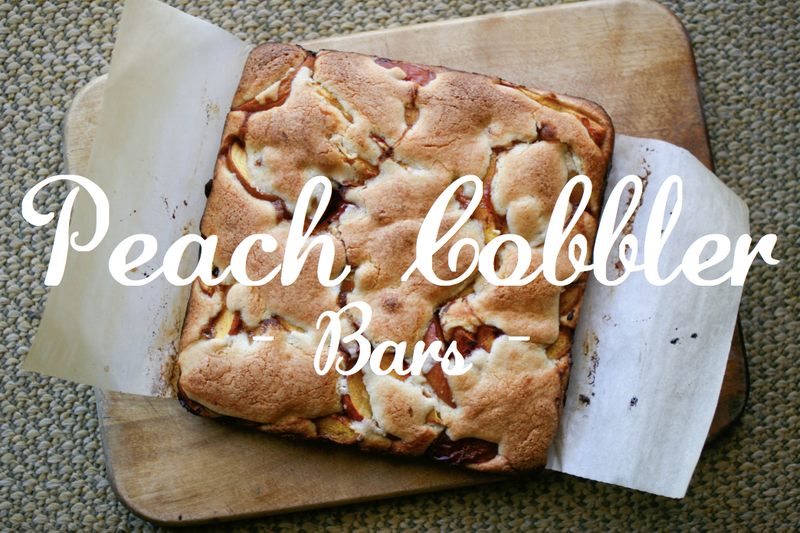 Portable peach cobbler? Sign me up! those cobbler bars are gorgeous!! you did it again! These sound (and LOOK!) divine! Bookmarked! 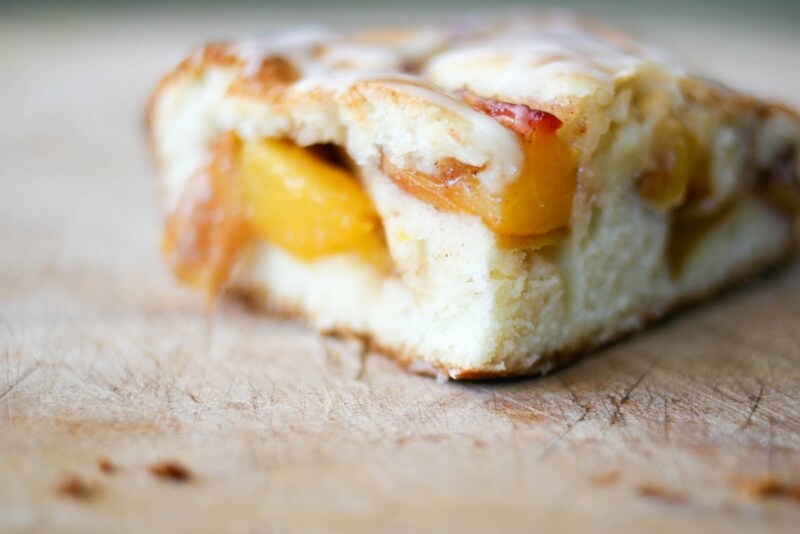 The peach bars look amazing! I love cake, so a cakey bar would be SO yummy! Wow, great job here. Awesome picture too! You should really consider submitting this to Recipe4Living's Fall Cobbler Recipe Contest! It looks delicious!